Every vehicle is crafted differently. Whether it’s the engine radiator, muffler, engine block, rotor, converter, or oxygen sensor, each car part is formed to operate with the automobile. With that being said, there are different leading oils that people use to change their vehicle’s oil with. You’re probably thinking, “which oil is normally recommended for oil changes?” Well, my friend, both Castrol Edge and Mobil 1 premium oils are great to use and have a lot of advantages to them. Castrol Edge is known as one of the strongest and most advanced oils yet. When using this premium brand of oil for your oil change, you get the best. Castrol Edge oil can literally change the way the oil behaves under intense pressures. Because of its strength, Castrol Edge performs in such a way to protect engine parts. Also, it helps your car function better. Mobil 1 oil is considered one of the best oils to keep your car running fluidly. With Mobil 1 being one of the premier oil brands, cars such as the Mercedes-Benz, Porsche, Cadillac, Bentley, and Chevrolet Corvette performs high when using this brand. Yes, Mobil 1 is one of the more expensive brands of oil for your vehicle, but it features many components that allow your car to have extended intervals between your oil changes. So, even though it may seem that Mobil 1 cost more, in the long run, you are actually getting more for your money due to the decrease in the number of oil changes. 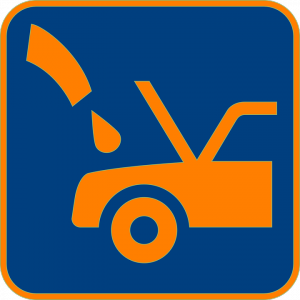 It’s very important to get your oil changed every so often to avoid any complications. From now until September 30, Mr. Muffler will be having a special for a premium oil change using Lucas oil! Be sure to print off the coupon and stop by to get your oil changed today!